Discover the extra fun side of Changi Airport with the arrival of the lovable gang from Sesame Street! This year, in conjunction with the March, June and September school holidays, Changi Loves Kids has launched a series of surprises and goodies galore for the little ones. 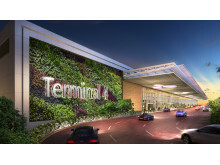 Changi Airport‟s Terminal 4 (T4) opens today by welcoming passengers of Cathay Pacific and Korean Air. Cathay Pacific flight CX659 from Hong Kong was the first flight to arrive at the new terminal at 0525 hours. 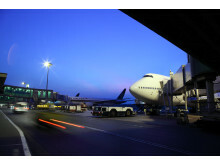 Its passengers were warmly welcomed with orchids and goodie bags as they stepped into the terminal. 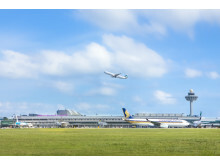 Alipay and Changi Airport Group (CAG) today announced the signing of a strategic five-year partnership agreement, to roll out the Alipay mobile payment option in Changi Airport on a wide scale. 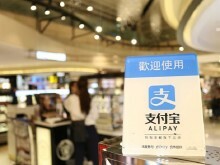 A joint marketing agreement was also inked, for both parties to offer customised and targeted shopping and dining offers to Chinese passengers using Alipay. Changi Airport is the place to be this June for all Sanrio fans from Singapore and beyond, as it transforms into a Nordic wonderland! From photo opportunities with favourite Sanrio characters, immersive playtimes in snowfall, to sightings of the mesmerising Northern Lights, there is something for everyone during the month-long event, starting today. 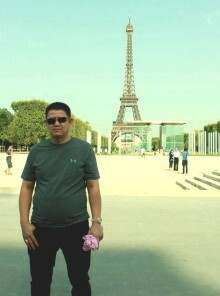 Changi Airport crowns 39-year-old Indonesian as its newest millionaire! SINGAPORE, 15 January 2017 – It was a million dollar dream come true for Jakarta-based Ade Iskandar Roni as he beat seven other finalists to emerge as the Grand Draw winner of the 2016 ‘Be a Changi Millionaire’ shopping promotion held this afternoon at Singapore Changi Airport’s Terminal 3, walking away with a cool S$1 million in cash. Changi Airport Group’s anchor retail promotion ‘Be a Changi Millionaire’ returns for its seventh run today, with larger-than-life fun installations located around Changi Airport’s terminals, as well as a S$1 million grand prize for the annual shopping promotion, the largest cash prize of any retail draw in Singapore to date. Changi Airport crowns 52-year-old Irishwoman as its newest millionaire! A 52-year-old Irishwoman thought that her unforgettable family holiday to Australia via Singapore ended when she returned home to London last July. 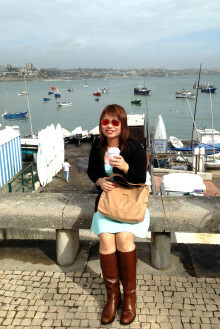 Little did she expect that a million-dollar windfall would be the icing on her memorable trip just a few months later. Shopping for wines and spirits, and cosmetics and perfumes at Changi Airport has become even more convenient with the introduction of iShopChangi’s collection-on-arrival service. 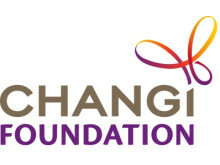 Under the extension of the Changi Transit Programme to 31 March 2016, Singapore Airlines or SilkAir customers who transit through Changi Airport on either carrier can redeem a Changi Dollar Voucher (CDV) of $20 or $40 value, depending on their point of origin. Customers who are connecting on select Air New Zealand-operated flights to or from Auckland can also redeem the CDV. A 34-year-old Japanese civil engineer working in Singapore struck a windfall of S$1 million at Changi Airport today, as he beat five other contestants to emerge a newly-minted millionaire at the ‘Be a Changi Millionaire’ 2014 Grand Draw. 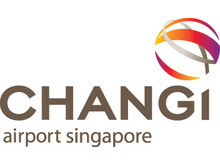 Singapore Changi Airport handled 4.38 million passenger movements in April 2014, a growth of 3.4% compared to the same period in 2013. 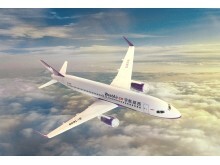 Flight movements increased by 3.0% to 28,400. 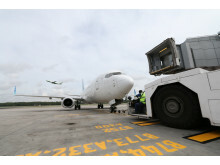 During the month, 151,100 tonnes of airfreight were processed at Changi, a 0.6% increase year-on-year. 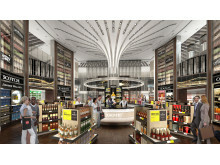 DFS Group and Changi Airport Group (CAG), today revealed plans for its game changing transformation for Singapore Changi Airport’s Liquor & Tobacco (L&T) core duty-free concessions across its four terminals. Spanning 85,350 sqf (aprox. 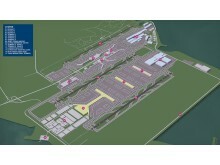 7,900 sqm) of space, the cutting-edge concept will elevate the passenger experience, and reinforce Changi’s position as the world’s best airport. SINGAPORE, 6 May 2014 – Changi Airport’s anchor retail promotion ‘Be a Changi Millionaire’ – which has since made four shoppers millionaires overnight – returns for its fifth instalment today. 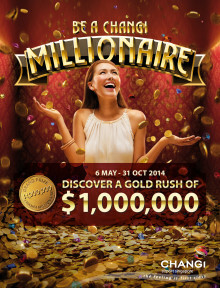 Between 6 May and 31 October 2014, millionaire hopefuls only need to shop and dine at Changi Airport for a chance at winning the highly-coveted windfall. 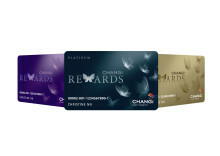 Changi Airport Group (CAG) today launched its newly-revamped loyalty programme, Changi Rewards, offering exciting new rewards and exclusive benefits for members who shop and dine at Changi Airport. 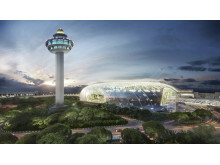 Singapore Changi Airport handled 4.60 million passengers in January 2014, an increase of 6.3% on-year. Air traffic movements grew correspondingly, with a total of 30,400 landings and take-offs recorded during the month, or 7.6% more compared to a year ago. A 47-year-old Indonesian man, Mr Irvung Tio, won a million-dollar windfall at Changi Airport today, as he emerged the overall winner of Changi Airport Group’s (CAG) ‘Be a Changi Millionaire’ 2013 Grand Draw. SINGAPORE, 17 December 2013 – The sixth and final lucky shopper at Changi Airport to qualify as a grand draw finalist for the ‘Be a Changi Millionaire’ 2013 is a 34-year-old relationship manager from Singapore. SINGAPORE, 18 November 2013 – A 47-year-old businessman from Indonesia is the latest lucky shopper at Changi Airport to qualify as a grand draw finalist of Changi Airport Group’s (CAG) ‘Be a Changi Millionaire’ 2013 – the largest retail promotion in Singapore with a prize-purse of S$1 million.